It is an uphill battle for a father to obtain custody of his child. Although the law in New York is clear that both parents have equal rights to obtain custody of their child, it is, generally speaking, harder for a father to be successful in obtaining custody. What does a father have to do to obtain custody of his children? To start with, he must be prepared to fight! He must be willing to assert his rights as a parent in court. More and more fathers today are finding success in obtaining custody of their children. The first step for a father to obtain custody of his child or children is to retain the services of an experienced fathers’ rights child custody attorney. 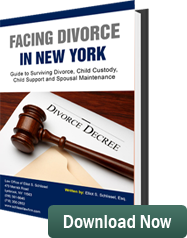 There are many lawyers in New York who handle divorces. However, there are only a few that have extensive experience in aggressively litigating on behalf of fathers. The first step an experienced fathers rights lawyer will take is to file either a petition in the Family Court or bring a divorce proceeding in the Supreme Court. The initial pleadings should clearly and strongly present the father’s case for obtaining custody of his children. There are number of important issues that have to be dealt with when a father seeks to have custody of his children. Issues such as who is the more nurturing parent? Does the father have a close relationship with his children? Does the father’s residence have adequate bedroom space for his children? Can the father financially and emotionally be there for his children. The standard in New York as to who should be the custodial parent of a child or children does not come down to a tug of war between the mother and father. It is the court’s job to analyze the family situation and determine which parent having custody is in the best interest of the children. In many situations, both parents have strengths and weaknesses with regard to having custody of the children. In these situations, the attorneys often try to work out amicable resolutions of the child custody dispute by giving both parents joint custody. However, it should be noted even in joint custody situations, one parent has to be designated as the residential custodial parent for school district purposes. Representing fathers in custody disputes as indicated earlier can be an uphill battle. For more than 35 years the Law Offices of Schlissel DeCorpo have been fighting for fathers’ rights regarding custody and child visitation issues in the Family Courts and the Supreme Courts in the Metropolitan New York area. The attorneys at the Law Offices of Schlissel DeCorpo have more than 100 years of combine legal experience dealing with the complicated and emotionally charged issues involving which parent gets custody of their children. Contact our law office for a free consultation.